What is Techsol’s Medallion System? Techsol Can Solve Your Problems! 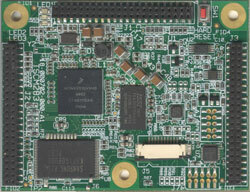 Techsol is a pioneer in Linux on ARM technology. Leverage our off-the-shelf Medallion Computer Modules and development kits to accelerate your development projects. Whether you just need a Computer-on-Module for your own semi-custom design, or you need a turn-key solution, Techsol’s focused Hardware and Software expertise plus superb support get you to market faster. And our highly-integrated solutions provide the greatest value to maintain your competitive cost-advantage into production. Well, our pace of new product development continues to exceed our pace of posting items on our Web site. We have published a press release about our “Small TSC” (2.x″ to 5″ Touch‑Screen Computers), which are described on the Small TSC product page. And we’ll follow with information about our “Medium TSC” products, with screens from 5″ WVGA to 10.x″, as well as “Large TSC” products, which have 8″ and larger displays. The main distinction between Medium and Large (besides size) is that the Medium line have a parallel RGB interface to the display, whereas the Large series use LVDS. 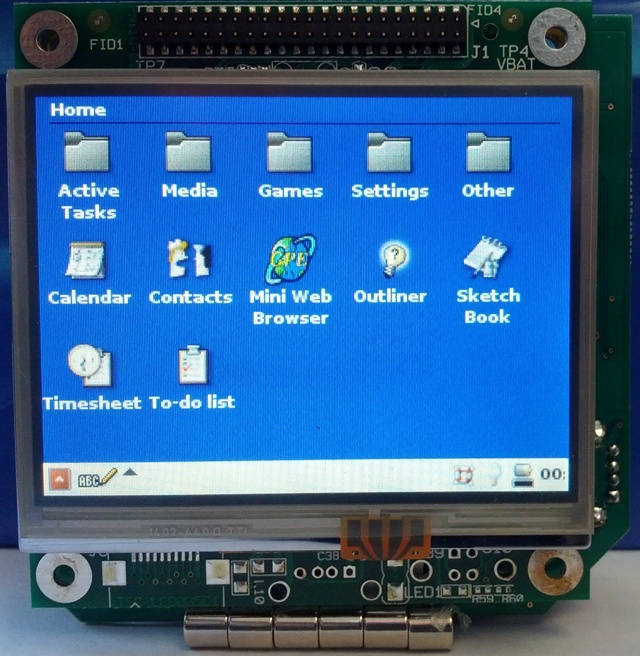 That sounds like we’d only need a single display adapter board for LVDS displays but, unfortunately, variations in the touch‑screen connectors and backlight requirements of different models of displays force us to use unique solutions for different models of display panels. In addition to new Hardware, there are lots of new Software developments too, including Java SE support on the Touch‑Screen Computer Modules. So stay tuned. There’s lots more to come! 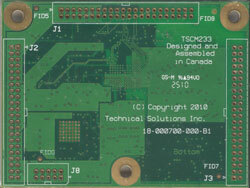 Techsol is a North American (NAFTA) corporation providing low-cost outsourcing of your embedded technology design and board fabrication. We offer a variety of products and programs that will get you to market quicker using our proven ARM/Linux platforms to mitigate risks. We make a bit of margin on hardware sales, but we save you a huge amount of development cost, resulting in a net positive return-on-investment (ROI) when using Techsol’s Medallion System for product design! We are in your time zone (or very close to it): we’re on Pacific Time. You are not spending any extra money dealing with a middle man. The net effect is that we can get you to your goals faster, cheaper, better than by any other means. And our proven hardware and software platforms minimize your project’s risk elements! Custom Software, Commercial/Proprietary Software, Free/Libre & Open-Source Software, C/C++/Java/Perl/Python/sh (Bourne shell)/bash, etc. 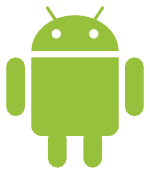 Languages: ARM Assembly, C, C++, Java, Perl, Python, sh (Bourne shell)/bash, etc. Comms: TCP/IP, IrDA, USB Mass Storage, etc. Other: Stereo audio in/out, on-board reset controller, regulators, RTC, WDT, etc. A PCB in the shape you want, with connectors where you want them, and power supply (very simple) that you can design yourself or we can design for you! Our software comes pre-configured for your platform, along with any desired third-party IP (such as Java) when you purchase our hardware. All licensing and royalty costs are included in the product cost. You can develop your own applications software using one of our development kits or we can develop it for you! We can offer this level of product-design acceleration to our customers because of the tight integration of hardware and software in our platform's design. We design and manufacture custom and “semi-custom” products quickly and efficiently (AKA for minimal cash outlay!) With a broad depth of commercial, industrial, medical, security, and consumer product designs under our belt, you get the advantages of a team who can compete internationally in all these areas working for you! Do you need to create a new product? Or just update an existing product? Do you need to update your product so it can connect to the Internet? 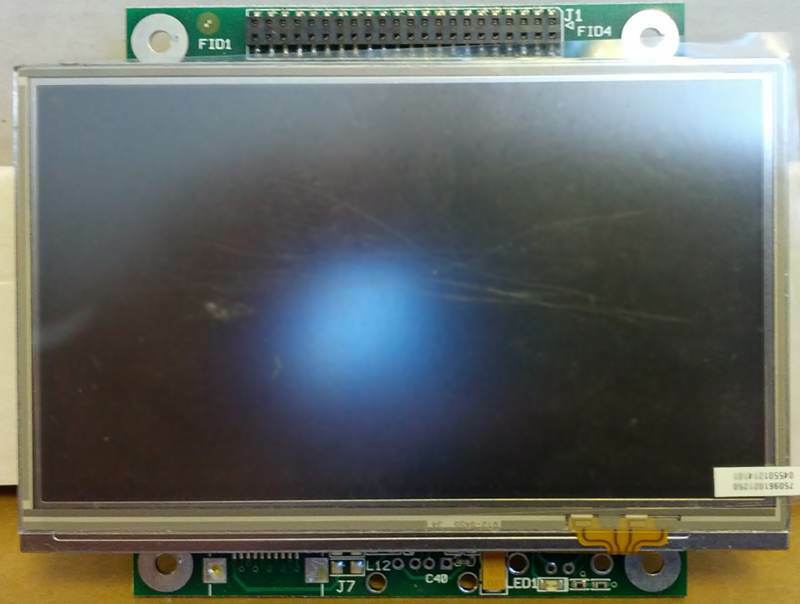 Do you need to update your display to a (color) LCD screen? With Touch? Do you want to design your own PCBs and just plug in the most advanced computer module? Or do you want a fresh product that is fully-featured, robust, low-cost and leading-edge? We can do any combination of the above. And we will adapt our services to meet your needs! While this started a trend back in 2002, there is still no other computer this small, with USB Host ports, LCD and Touch controllers, Audio, and a 32-bit expansion bus at this price. 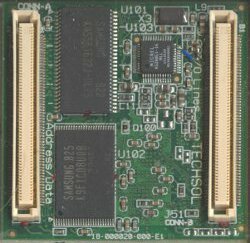 Check out the smallest, full-featured Computer-on-Module technology here: Medallion Classic CPU Modules. 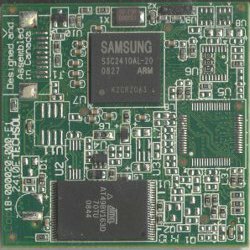 We took everything we learned from the classic Medallion CPU module and slashed costs wherever we could to create a low-cost, high-performance, high-quality computer ideally suited for touch screen applications (though it can be used for others). The Touch Screen Computer Module (TSCM) trades off larger size for lower production costs and lower connector costs. 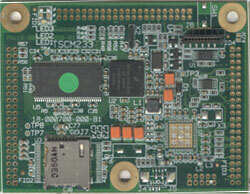 2011‑06‑27 - Techsol New Product Announcement: Techsol’s TSCM‑283 (Touch Screen Computer Module) enables low-cost HMI devices. 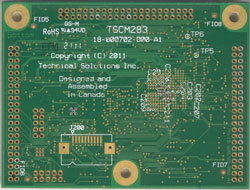 2011‑06‑21 - Techsol New Product Announcement: TSCM-233 computer module enables low-cost handheld devices.